Tonight Alive - Nu Reich-core that any aryan can get into. It took awhile, but the bridge between Avril Lavigne and music has been bridged. The bridge’s foundation was built with Paramore – perfect whiny teenage woe, with cleavage. The female fronted bands with the alternative look are now emerging in the money hungry pit of the once profitable record industry. Tonight Alive, should last quite a few months on someone’s radar. The boys that play the music with actual instruments have the perfect swept across hair cuts with, I’m sure, sixpacks, and parent friendly tattoo’s. The singer is every sophmore’s dream’s dream prom date. Blonde, nose ring, and a voice that demands someone listen to her complaints. Pop punk has been a genre pushed as far as dead end can go, but Tonight Alive demonstrate that teenage heartbreak can be reproduced without actual replication. Sure, on this new album you might hear Blink 182, you might catch a new Paramore riff, but is it really the same? 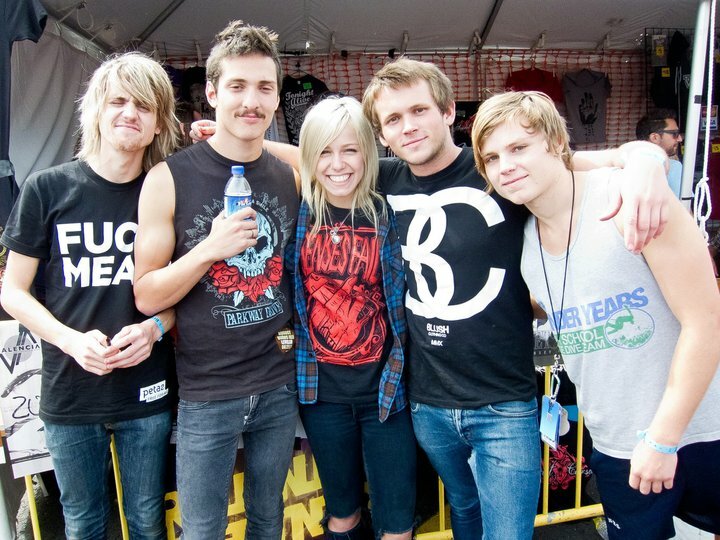 Is Tonight Alive, just another Warped Tour band out to sell colorful T Shirts to thick walleted teens? What Are You So Scared Of? is the perfect album Fall Out Boy never wrote, and if that sounds like an endorsement then catch these aussie’s as they tour the over priced beer venues across America this year. Then catch them again as they disappear into the pop punk filled line-up that is brought to you commercial free by the shoe company Vans. My guess is Tonight Alive wont even profit dollar one compared to hard rock acts that feature female vocals, like newly emerging Dead Sara. Both of the aforementioned bands are hot topic quality, but in the barely profitable ‘alternative’ market, neither will do more then release unexciting albums, one after another, tour fine American establishment’s, where they can break even selling merch.